1.Thread Standard: 6:100, which conforms to International Standard and GB. 2.Materials: Import PC, can choose materials by your side. 3. Quality Standards: According to YY0581-2005 Pharmaceutical standard of PRC & ISO13485 to execute. Import material can eliminate heparin cap cracking problems. We passed the aging test and bubble test with liquid medicine. There is no any cracking phenomenon. Common material heparin cap burst out immediately in liquid test. 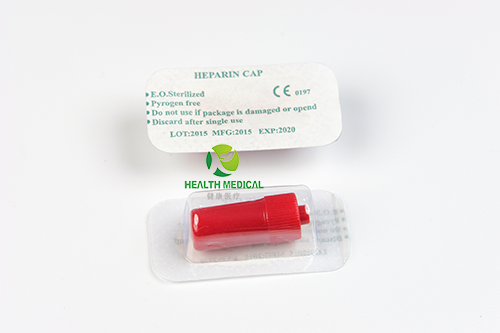 Heparin cap used with IV catheter. It is able to be punctured infusion and injection for many times. Standard luer connector can prevent blood back flow and solidification. Packaging Details: Blister per pcs, 100pcs/inner box, 50boxes/carton(5000pcs).